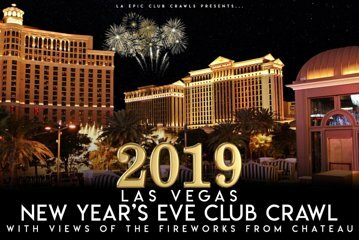 This New Year's Eve club crawl visits some of the best bars and nightclubs in Las Vegas. Enjoy skip-the-line entry and discounted drink specials, a 3-hour open bar at Chateau Nightclub under the Eiffel Tower, and a champagne toast at midnight. View the Bellagio fountains and ring in the New Year with fireworks over the Strip. Plus, professional photos of the night are included in the price of your tour.